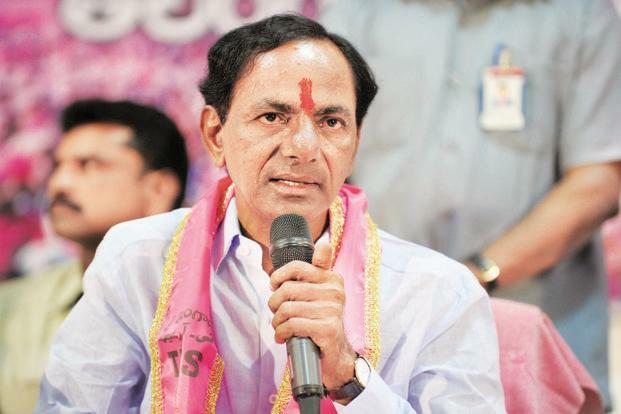 Telanganites Want TRS, Not KCR! Today is the last day for poll campaigning for assembly elections in Telangana State. Different agencies have come up with pre-poll surveys and most of them predict Mahakutami has high chances to win the elections and so form government. However, political analysts avow the results will purely depend on poll percentage. Earlier, when TRS dissolved its government, many opined that the Telangana Rashtra Samithi will once again win with good margin of seats in the elections. But, few factors like formation of Mahakutami, few failures of the government and KCR’s bigheaded behavior changed the equations. Of late, KCR has lost his sheen in delivering speeches. There is no substance or fire in his speeches in recent times. His first meeting after dissolving government- Pragathi Nivedana Sabha was an utter flop, although huge crowd gathered for the meeting. In fact, Telanganites are desperate to vote for TRS, but they are not fully happy with KCR’s attitude and false poll promises. He was warning public at meetings and it became a hot top when he stopped the TRS' Aswaraopet constituency MLA candidate Thati Venkateswarlu and pushed him back, asking him not to step on the dais. The rude and objectionable language that KCR is using at the public meetings is also bringing troubles to him and his party. Many opine that, KCR should handover party responsibilities either to his son KTR or his nephew Harish Rao who both are worth to take the position. While Harish Rao is called as trouble shooter of TRS party, KTR too proved his mettle with GHMC elections. As per reports, KCR’s winning in Gajwel is not a cakewalk as he was not accessible for the locals for last four and half years. Moreover, there is sympathy over Mahakutami Candidate Vanteru Pratap Reddy. The common public is supporting Mahakutami as they are vexed with TRS Government. If TRs loses in the elections, many of the leaders will jump to Congress Party. KCR had given least importance to most of the MLAs, other than his family members and close aides. Even funds allotted for them was negligible, compared to the development works in the constituencies of Gajwel, Siddipet and Sircilla. TRS wins or loses the elections, one amongst KTR and Harish Rao should definitely takeover party responsibilities from KCR, before big damage happens to the party. Why Kajal Postpones Her Wedding? NTR’s RRR Look: Not True!